Those Above is an adult high-fantasy - and you guys know how much I adore those, so I guess it's no surprise why this one made the cut this week. I've never read anything by Polansky though but this seems like a good a place as any to start: oppressed people, a brewing revolution, swords, super-human enemies...YES PLEASE. And that cover is stunning; swords are always a draw for me, probably because they hint at epic battles and lots of action. Sign me up! What do you guys think of this one? Any Polansky fans in the house? Oh and don't forget to link me up so I can see what you picked! Ooh I love the cover, and it sounds like it could be really good! I want to get more into adult fantasy and not just ya. Hope you can get it when it's out and can't wait to see what you think of it! Oooh, I am also a sucker for these kinds of reads (and also covers with swords on them, heh)! This is the first I'm hearing of this one, but yeah obviously sign me up for this one too! I hope it is well received in early reviews. Whoa!! This is totally new to me and it sounds awesome!! I need it! Thank you for sharing this, great pick! Oh my. This is one that I hadn't heard of before and sounds amazing. Hopefully it delivers. Wow! This one sounds really good! I normally don't read adult books but this one I definitely have to go check out! And that cover looks so awesome! Thanks for sharing! Love the cover and the premise sounds like a great beginning to a fantasy series. It has been a while since I read a high fantasy..maybe this would quench that thirst. Wow, that cover IS fantastic, and I love the sound of this story! I hadn't heard of it before, nor have I read anything by this author, but it sounds a little like Sanderson's Reckoner's series (which is for teens, but is still amazing.) I'm such a high fantasy fan and I will absolutely have to check this one out! Really excellent pick!! Also, Thanks for stopping by My WoW today!! Ooh I want this book! Great choice, I'm waiting on this one too, though I'll probably have to order it from Book Depository when it comes out, I think so far it only has a UK release with no news on when it might be coming out stateside. HOW GORGEOUS IS THAT COVER!! I saw this somewhere last week and had to immediately add it on goodreads. Adult fantasy is something I've been meaning to read more of too. I hope we get to read this one day! 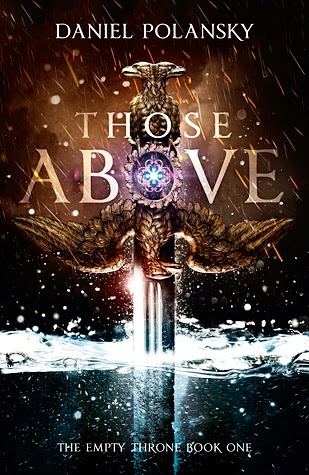 This isn't one I've heard of, but I love adult fantasy, and I've been making an effort to read more of it (determination to read ALL the books and keep up with goodreads challenge etc means I've been reading a lot more YA since I started blogging!). I'll definitely be looking into this one, and I LOVE that cover. My favourite covers are always the simple ones, (like the Game of thrones covers that are just one colour with a central image) but this one is just stunning, and although it's quite busy overall, the elements are each quite simple, if that makes sense?! Yes! I am so excited about this one but I don't see a US release date for it. I read Low Town and really enjoyed it.